Apple says it didn't give the FBI any UDID information, and the FBI says AntiSec hackers lied about taking it. Hacking group AntiSec made the startling claim yesterday that it had accessed more than 12 million "unique device identifiers" attached to Apple iPhones, iPads and iPod Touches, plus assorted other bits of personal information, from a hacked FBI laptop. The questions that followed were many: How did AntiSec hack an FBI computer? Why did the FBI have this information, and how did it get it? Is Apple somehow complicit in widespread domestic spying scheme? It's the kind of stuff that a paranoiac's dreams are made of, except that it's (maybe) actually happening. 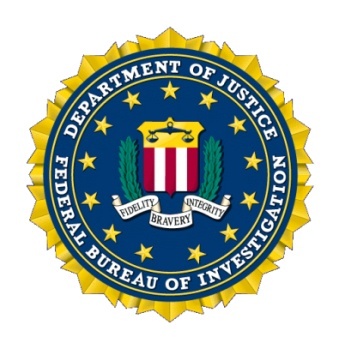 Not long after the AntiSec claims came to light, however, the FBI said that it had no knowledge of the incident, or even that it was ever in possession of the data. "The FBI is aware of published reports alleging that an FBI laptop was compromised and private data regarding Apple UDIDs was exposed," an FBI spokesperson said. "At this time there is no evidence indicating that an FBI laptop was compromised or that the FBI either sought or obtained this data." The FBI Press Office on Twitter was a little more unequivocal, stating, "We never had info in question. Bottom line: TOTALLY FALSE." Totally false or not, Apple followed up with a statement of its own saying that if the FBI did have the information in question, it didn't get it from them. "The FBI has not requested this information from Apple, nor have we provided it to the FBI or any organization," an Apple rep said. "Additionally, with iOS 6 we introduced a new set of APIs meant to replace the use of the UDID and will soon be banning the use of UDID." But AntiSec was quick to fire back, insisting that the breach was real and writing, "Also, before you deny too much: Remember we're sitting on 3TB additional data. We have not even started." The group indicated that further data dumps were on the way and added, "The fact that the FBI has no 'evidence' of a data breach on one of their notebooks, does not allow the conclusion that it never happened." I would never presume to accuse the world's foremost domestic intelligence agency of being not entirely forthcoming with the truth, but I suspect we haven't heard the last of this just yet.